I was trying to ask, but people AFK..Sorry if this is in teh wrong forum! I don't know if people know this, but I do crochet and knit now and then. Not always mm..fan art in 3 dimensions (tho I HAVE made a moogle, I'll find that bad cell phone pic in my Photobucket if you guys are curious), but I do make things. 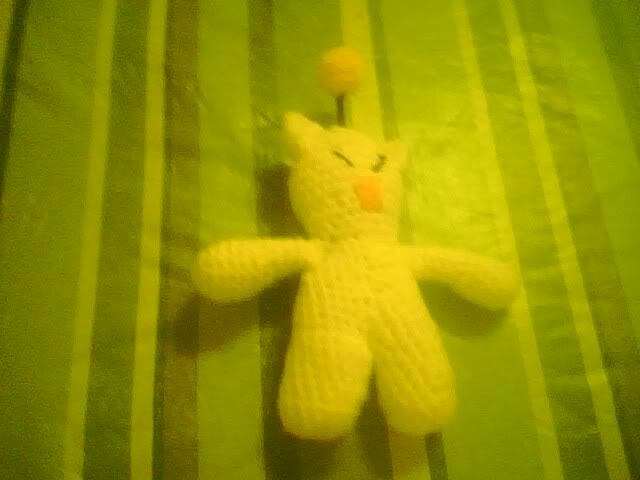 Give me some knitting needles and yarn, or a crochet hook and some yarn, and I can proly make something cute. Ha, made it into a lemon XD. Cute though and hopefully it'll last me a few more years! 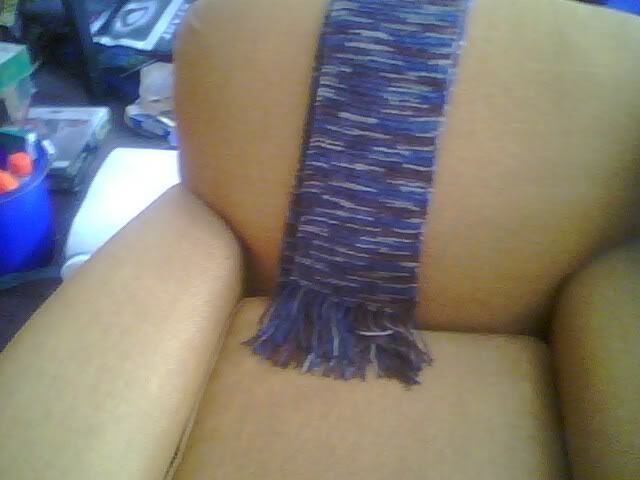 Since I got more time now, let me put up the rest of my yarn-y exploits. 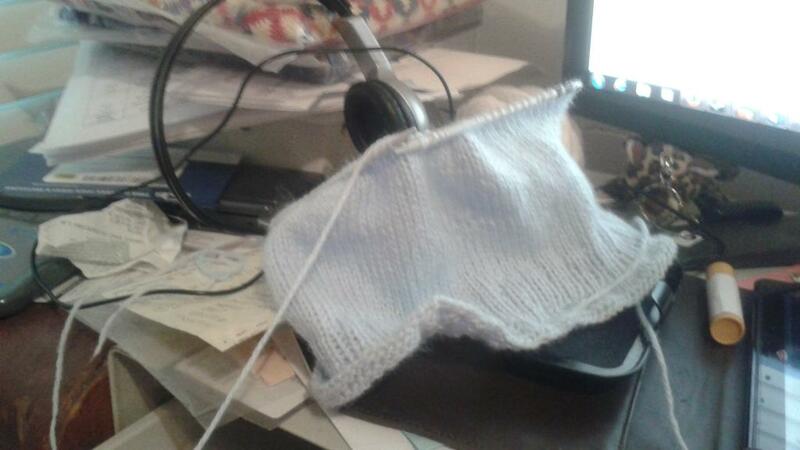 This was the beginning of a light cancer cap for my baby sister (she had ovarian cancer) -- It turned out great btw. Cat ears I made for a silly hat contest. Selfie with the cat ears. 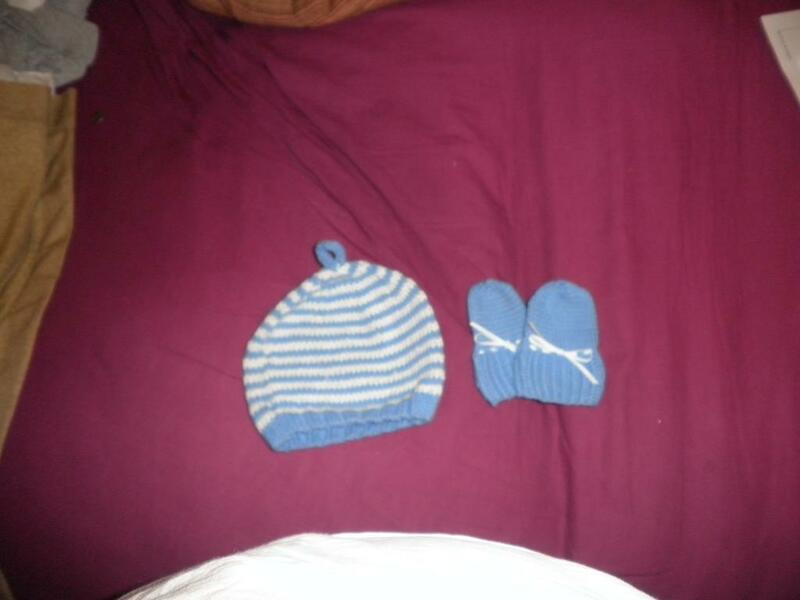 Hat and mittens I made for my nephew. Baby booties I made for a friend's baby. 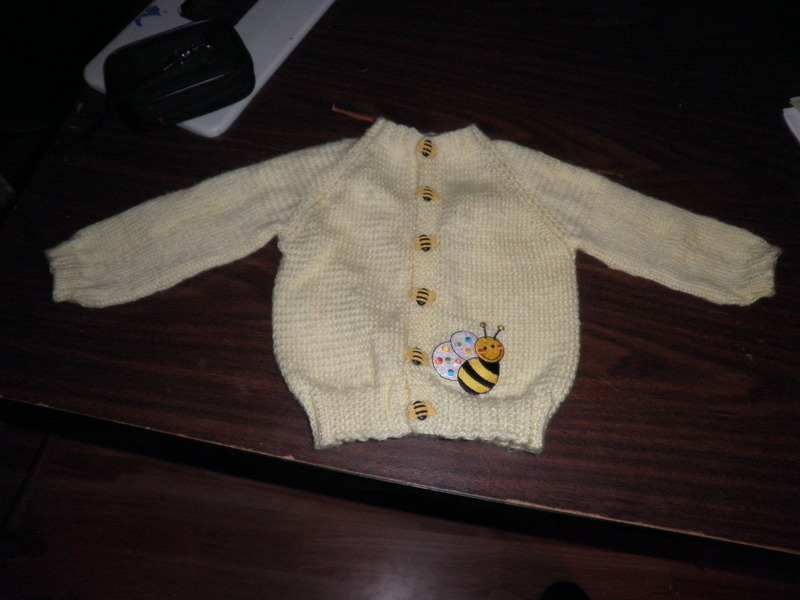 Baby sweater I think I either made for one of my nieces or my nephew. 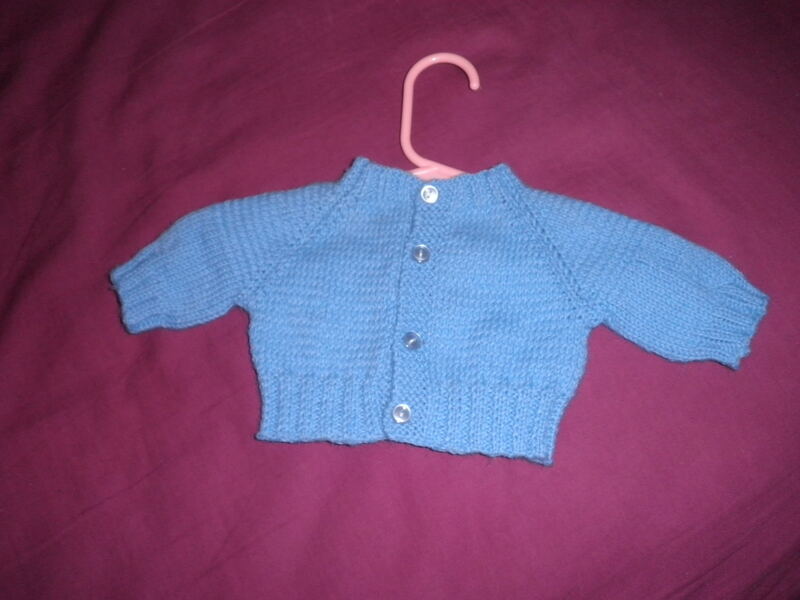 Another baby sweater, this def for the nephew. 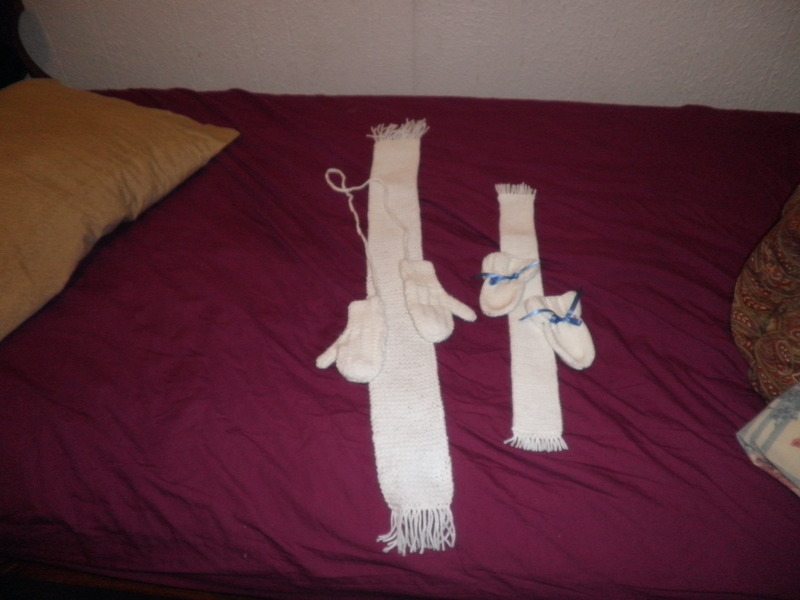 Mittens and scarves I made for my nieces. That moogle I mentioned. Hadn't added the wings yet, if I try that again I'm wiring them instead of using glue-stuff. I'll put up more later. I hope it's not too weird for me to ask you this: Have you ever consider making a business on Etsy? You're really good at knitting, so I imagine you could get quite a few customers. Also the moogle did get wings, I sold it to a friend after I stitched them on and stiffened them with a glue-stiffener. (They were felt.) If I ever make another one, I mean to wire the wings instead. Sorry about bumping this after so long. But we seem to have a Monster That Eats Dishrags (tm) in the linen closet. AKA; we got a case of disappearing dishcloths. Yesterday after I donated plasma, I went over to Hobby Lobby and got me a cone of cotton yarn 40% off with a coupon. 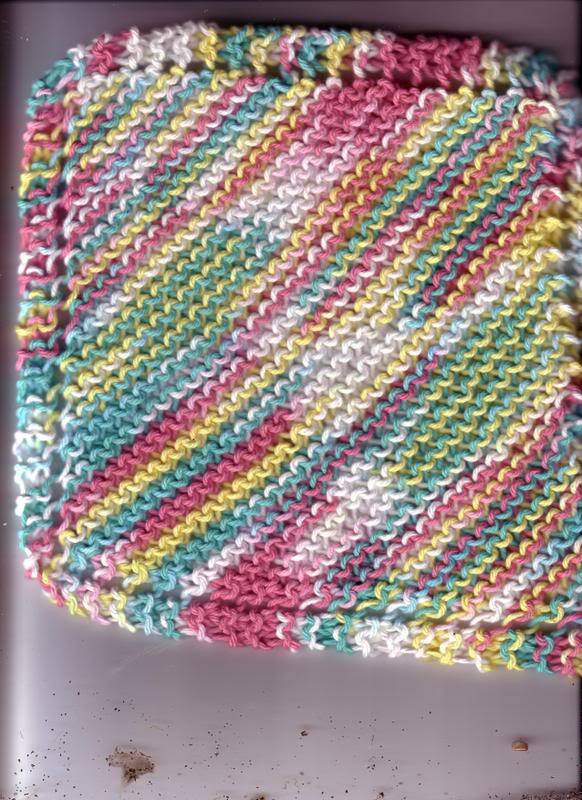 (They always seem to have good coupons) and started knitting dishcloths. 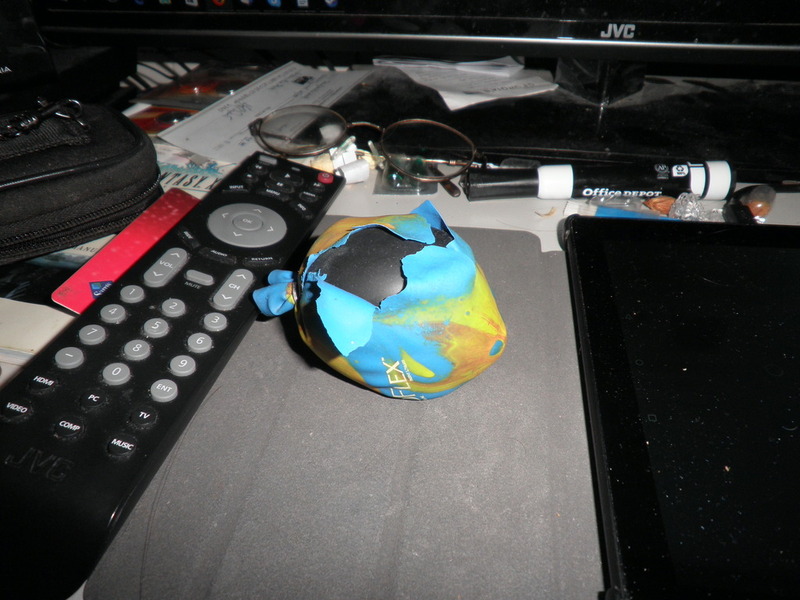 Pardon the mess on these photos; I am NOT a neat person and I need to pick up my room a bit once I'm not chasing my tail round and round. 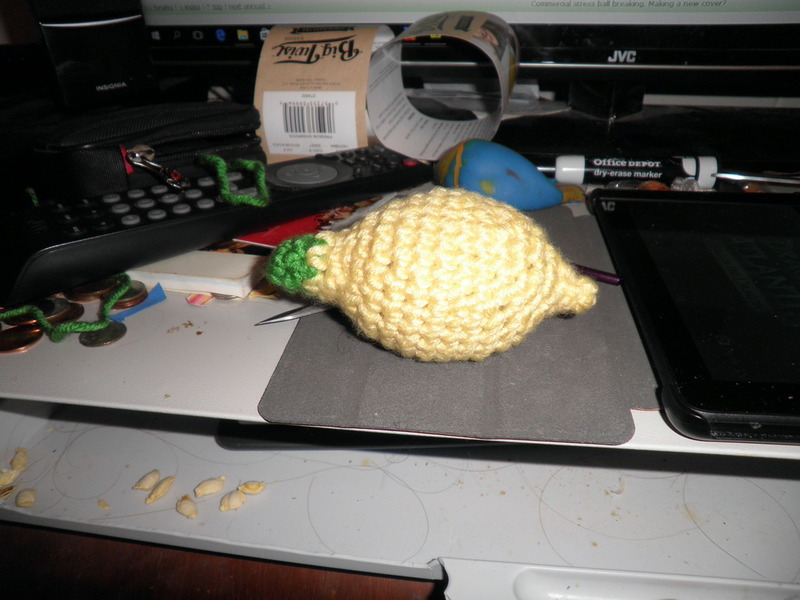 Are you thinking about knitting a dish cloth or an oven mitt with a Paopu Fruit on it? It's just a thought. That bee sweater is amazing. Well, whatever you decide to do. I wish you luck with it. I hope you can find them. Me too Dreaded. I do get tired of having to knit new ones every couple years or so. They should last longer than that! I think some ones my Grandma Clay made lasted us 5 years or more? Geez. We really need to catch the dishcloth thief/monster that eats'em. Hopefully, it isn't a pet that is making off with them. 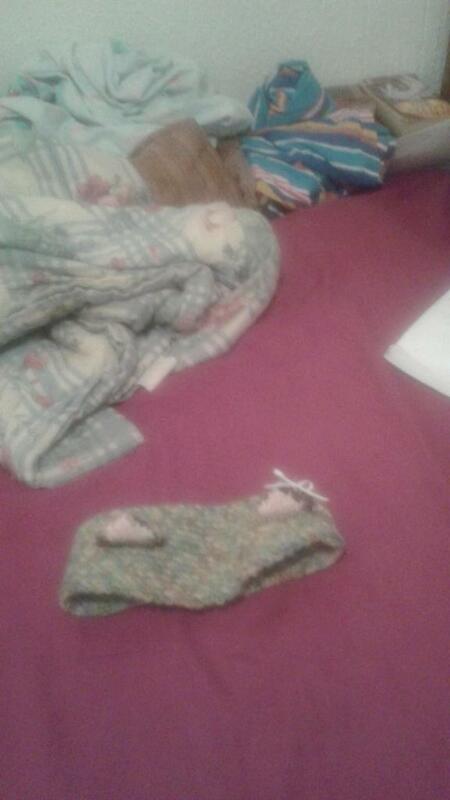 Dreaded: We don't have a pet around here (sis seems to have allergies to furry things) but I have it on good report that when my younger niece is over here, she likes to steal them to use for baby blankets..
Maybe we'll find out where that kid dropped them, or find out where in the closet they ended up. 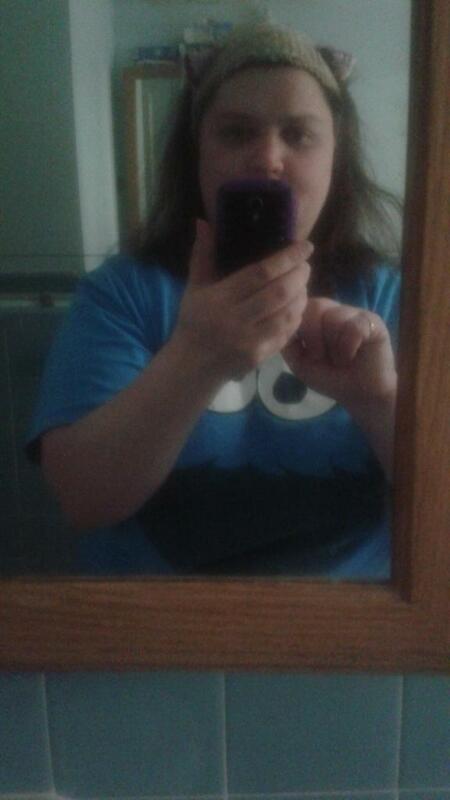 That closet is a mess. Love the bee sweater, hat and mittens!!! You could also do something for Thalassa seashells on some mittens, it's your choice. Any way, all your work is great! Dreaded: That's a cool idea! I'll think about it and see if I can find a cross stitch pattern program that works on Windows 10 (Same kinda thing for knitting) later on. And thanks both of you! You're very much welcome! Good luck! Good luck with finding a program! Have you found any program, marydavis? Far as I can tell, it works with no crashing. Just need to find some good pictures/screens now and if needed, talk to someone who's good at photoshop (if I'm working with screens). 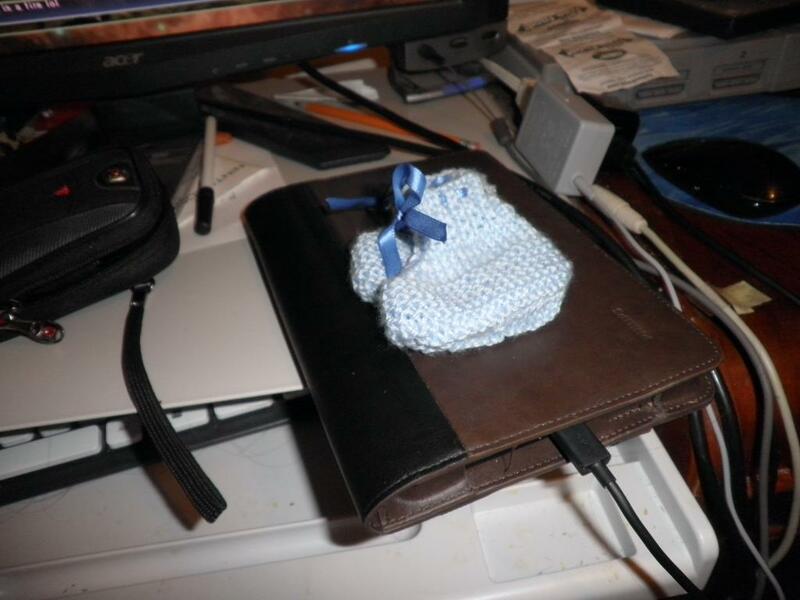 The reason I have to start with that is if you can believe it, knitting and cross stitch have one thing in common. 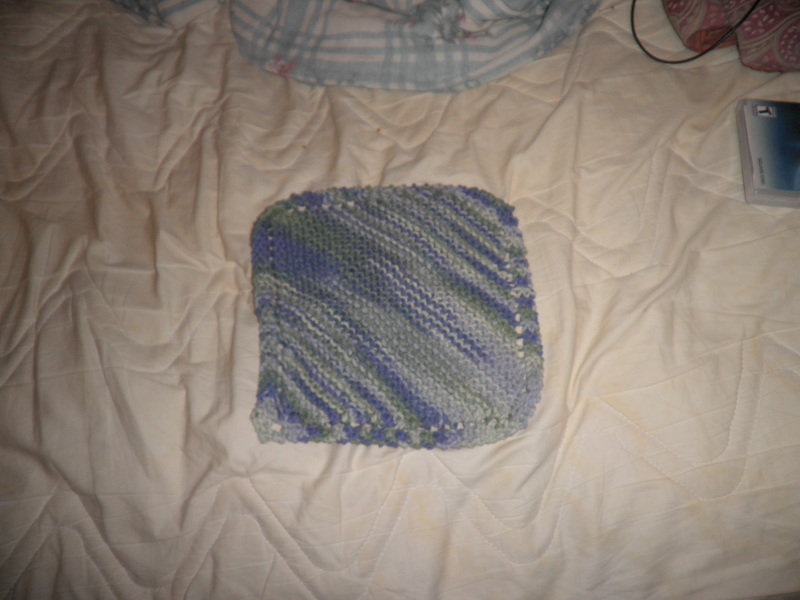 To do a pattern with either knitting, embroidering on knitting, or cross stitch, you work with a grid. So a cross stitch program will work for knitting, really easy. ^^ I just need some good pics with no background, and I've never been good at getting rid of a background without erasing it one pixel at a time. This looks really nice! It's been a while since I've seen knitting art. Good job!